When Magic: The Gathering hit the scene in 1993, it changed the world of trading cards forever. Finally, there was a trading card game that older kids weren't embarrassed to be seen playing. Today, 20 million Magic players around the world are still collecting and trading their cards. 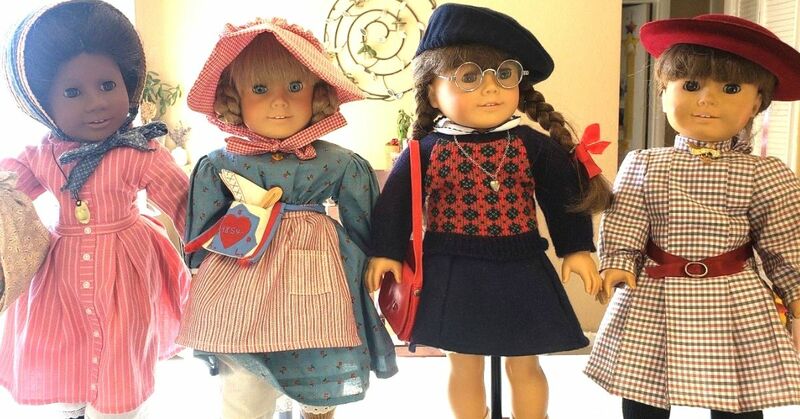 But even if you've given up on the game, you might want to dig up your old collection. 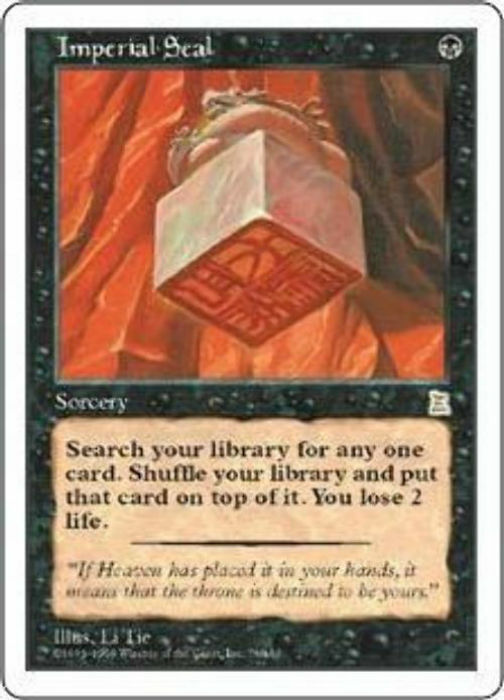 Certain magic cards are worth a bundle online. We've researched the average prices for 13 of the most valuable cards (in good condition) on MTGPrices. 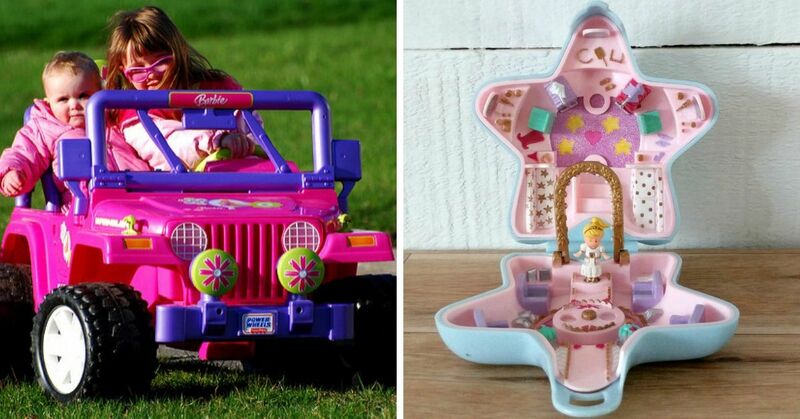 See if any of these are tucked away in your collection. From the Portals set, this card isn't one of the most powerful Black spells, but it's a crucial card for deck-building with that color. 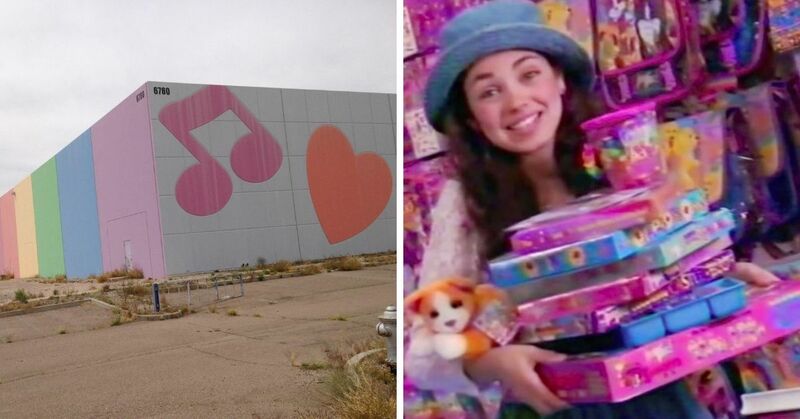 It's usually worth a few hundred bucks even in bad shape. 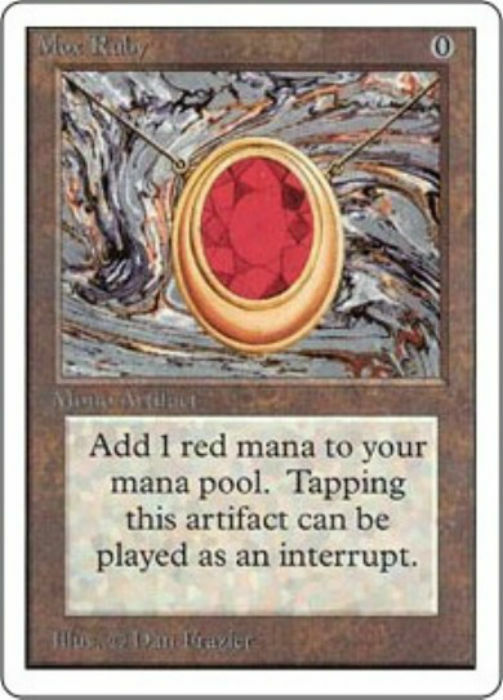 A card from the very earliest Alpha collection, the powerful effect of this card makes it a collector's item. 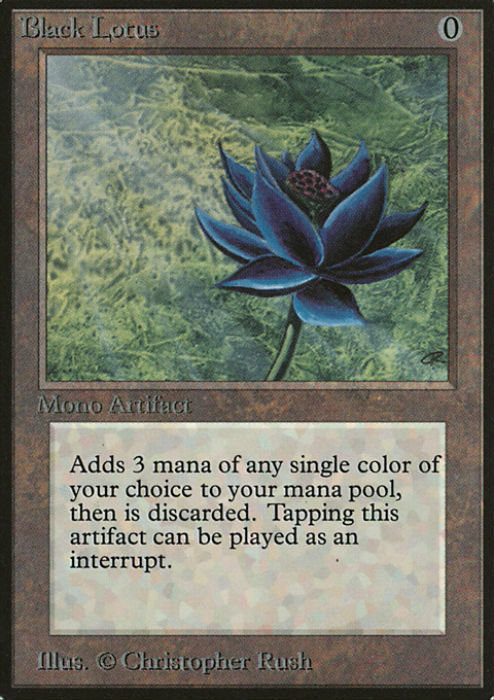 Despite its huge price tag, this isn't even one of the Alpha set's "Power Nine" cards. 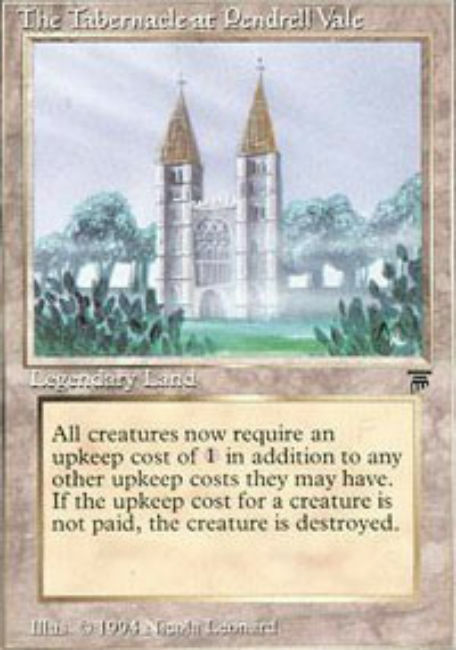 Part of the highly collectible, early Legends set, Pendrell Vale is one of the collection's strongest cards. Legends booster packs are considered valuable just because this card could be lurking inside one. 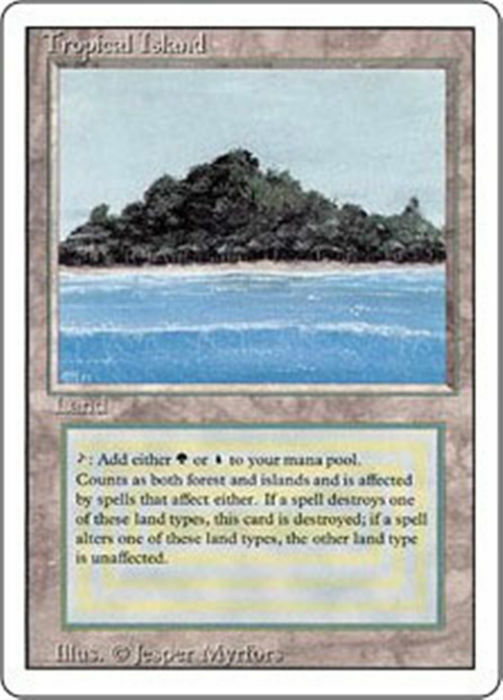 Another Alpha card, this powerful Land card is still a must-have for players with Blue/Green decks because it lets them add a land from either color on demand. 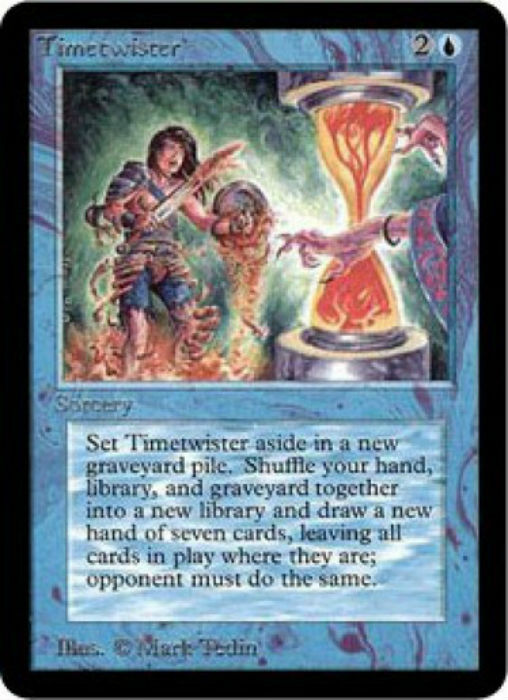 The first of the "Power Nine" Alpha cards to grace this list, TimeTwister was a powerful card when it was first released. 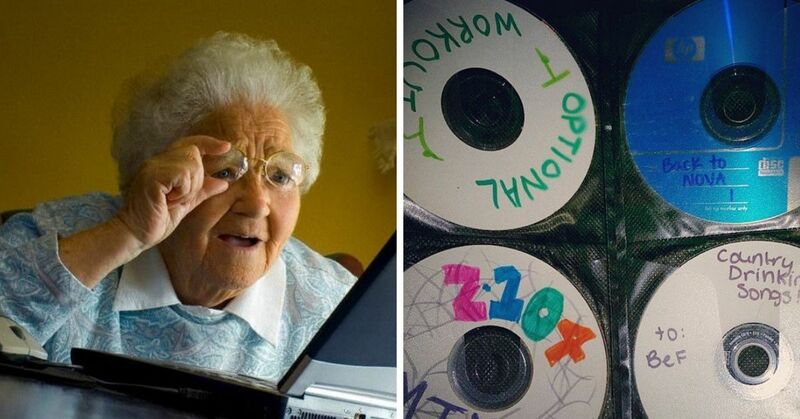 Decades later it can still change the course of a game. 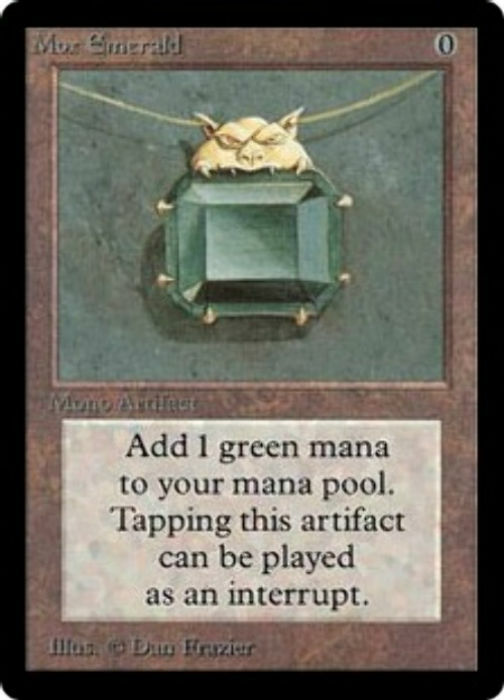 Five "Mox" jewel cards released in the game's earliest set have become collector's items because of the huge Land boost they provide. While the value of each card falls and rises, Emerald is currently the least valuable. 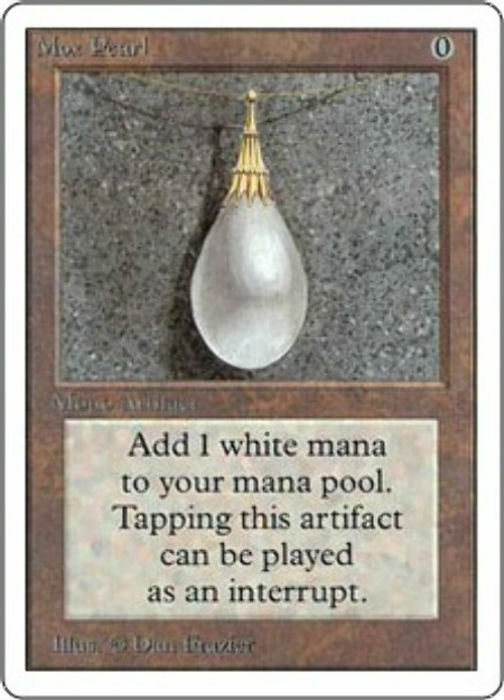 Pearl is usually considered one of the rarer Mox cards because its description - "Mono Artifact" - became obsolete after the game's first two sets. Surprise! Another Mox. 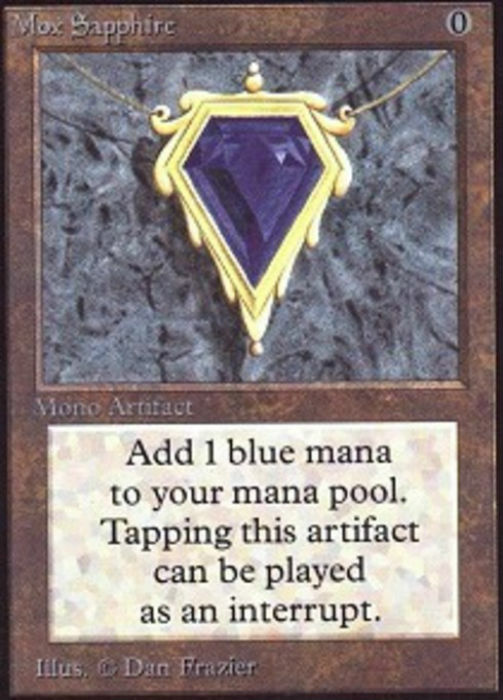 A few years ago Sapphire was the top dog of the five Mox cards, but it's fallen down the list recently. Dan Frazier, who did the art for all five Mox cards, will add a little value to yours by signing it - it's $2 per signature, but it will be worth it if you can sell one of these bad boys. 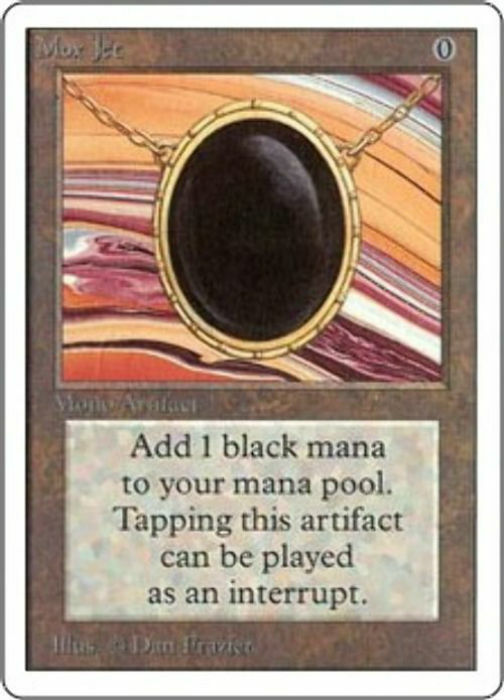 Rounding out the Mox collection is this Black card, which seems to be more valuable because collectors need it to built a powerful deck of that color. Or maybe just because the art is so cool. 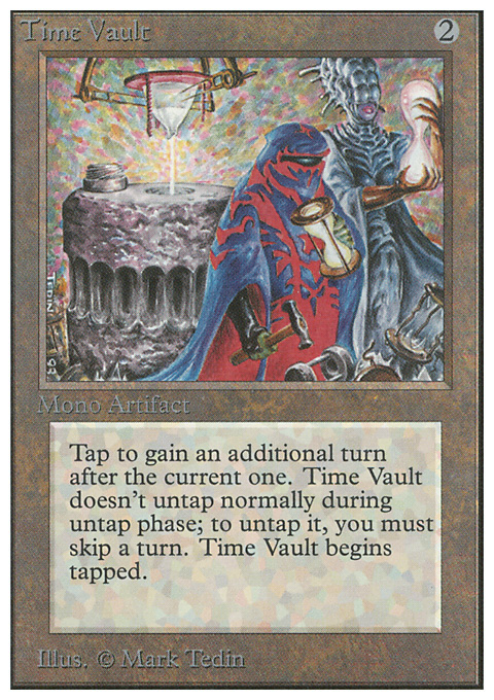 This Alpha card earned its spot in the "Power Nine" thanks to its punishing effect, and it used to be even tougher. 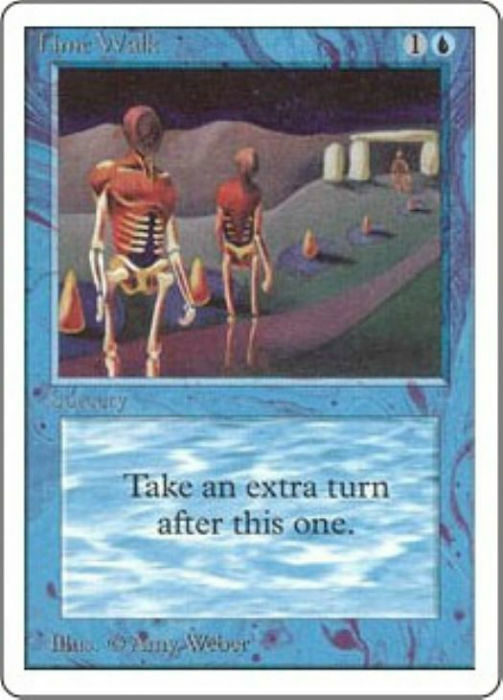 During the game's test phase, the card also said "Target player loses next turn," and players assumed this meant the player lost the game in their next turn. 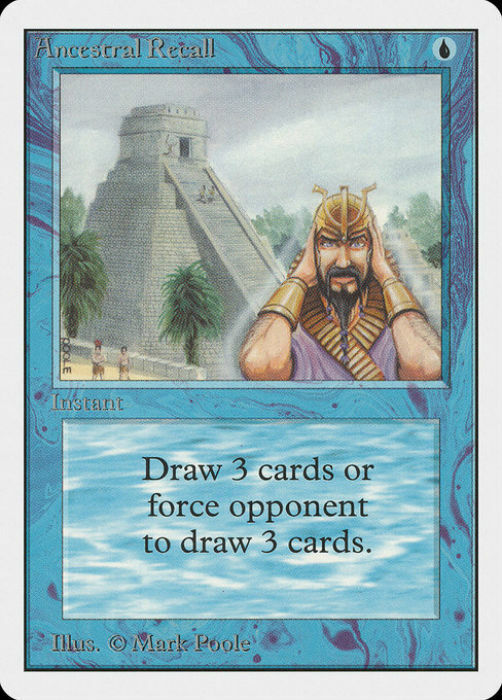 It's this simple: drawing cards is one of the most important parts of Magic: The Gathering. A card that lets you draw so many for so little is pretty overpowered. Hence the hefty price. This card is a victim of its own success. As recently as 2014, good condition cards sold for as little as $10,000. But the attention the card has earned from being featured on "most expensive" lists (like this one, sorry) has inflated the price. 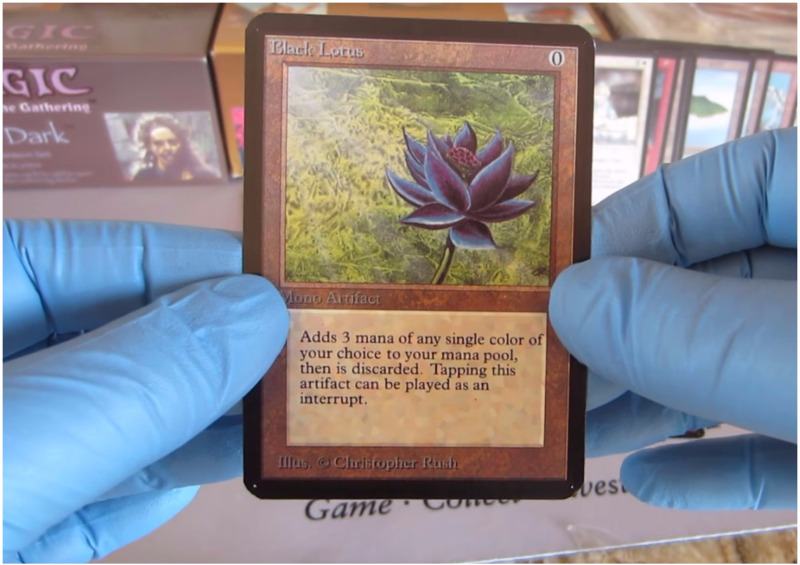 When this collector opened a starter pack and found Black Lotus, it was worth just $27,000. Ironically, the video helped make the card even more valuable. Still, with all the Magic fanatics out there, there's still a market for this insanely expensive card if you manage to find one. Not bad - you could make a down payment on a house for just a small piece of cardboard. Share this list if you played Magic: The Gathering!